greetings to the nation from the South Portico of the White House. was expecting to leave office in January of 1945 when the war broke out. religion and freedom from want and fear. €™s need for supplies while maintaining the appearance of neutrality. bases in the Caribbean and Newfoundland. to say that Roosevelt and Churchill became chums at this conference. . . .
foremost champion of the high causes which we served." that Germany would fight a war on two fronts. machiavellian. Churchill carefully wrote down his thoughts and instructions. 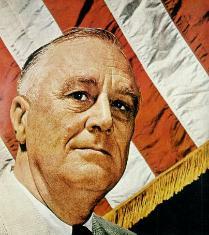 Roosevelt was deliberately informal, often giving inconsistent verbal orders. 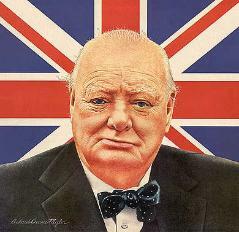 Clementine provided the emotional rock on which Churchill stood."